The aseptic packaging market experiences growth due to rise in demand for the packaging solution from multiple sectors and the developing regions. PUNE, MAHARASHTRA, INDIA, July 6, 2018 /EINPresswire.com/ -- The aseptic packaging market experiences growth due to rise in demand for the packaging solution from multiple sectors and the developing regions. Demand for convenience and packaged products is steadily on rise as the increase in urban population and demand from the food and beverage industry has spiked demand for aseptic packaging solutions. 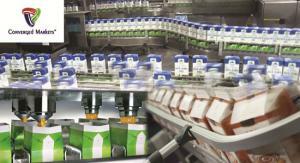 Asia-Pacific is expected to be the fastest growing region for aseptic packaging globally. The developing countries of India, China, and Japan have large populations with rise in middle class and large scale urbanization. The demand for packaged food and beverage is on the rise as the consumer awareness towards food safety and packaging is expected to influence the growth. The increased presence of pharmaceutical companies in the region and their export commitment to other regions such as, Europe and North America has prompted them to adopt aseptic packaging to comply with regulations. The major companies in the aseptic packaging market include Amcor, Robert Bosch, Tetra Laval, Bemis, DuPont, Reynolds Group, Greatview Aseptic Packaging, and Schott AG.